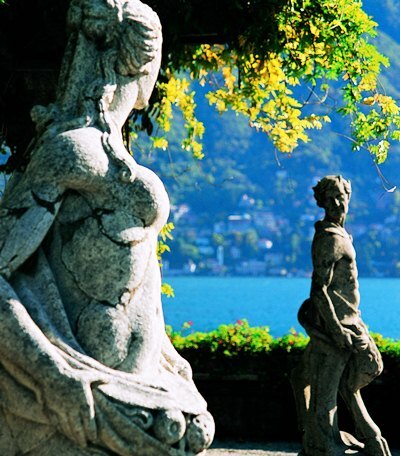 Lugano, with its temperate climate, is a city with an incredible history and musical heritage. 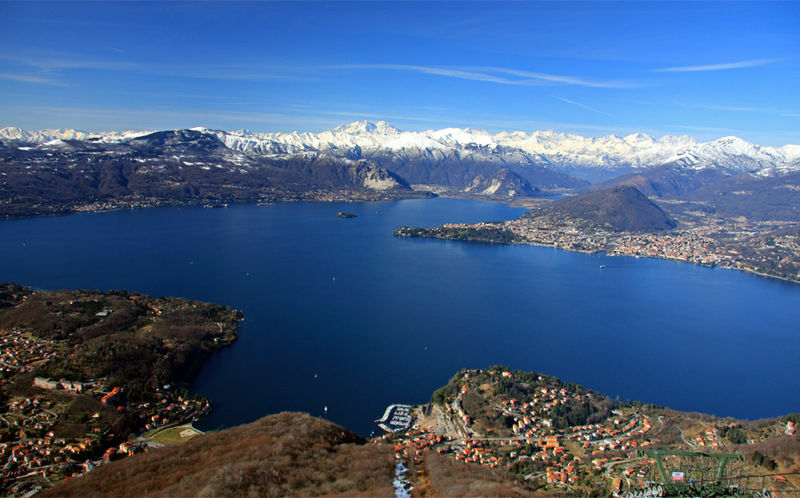 Sited on the northern shore of a crystal clear alpine lake, this is the largest Italian speaking city in Switzerland. 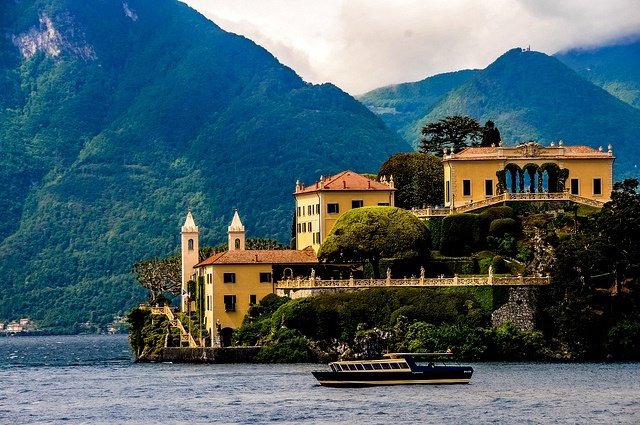 Lago Lugano, the city that gave its name to the lake, clings to the shore and hills above the water like the icing on a delicate Swiss pastry. Along the impeccably clean promenade, couples stroll as ferries come and go from the dock. In the distance, the Casino beckons with visions of James Bond, tux and all. 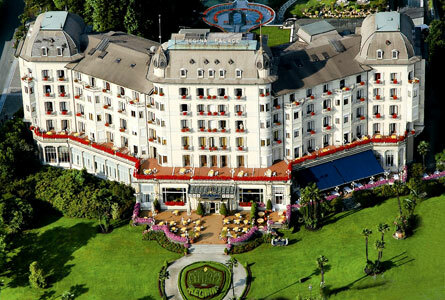 When I have the opportunity I plan at least a two day visit to Lugano. The first day is spent on the lake enjoying lunch served aboard a special ferry that calls on various towns along the shore of the lake. 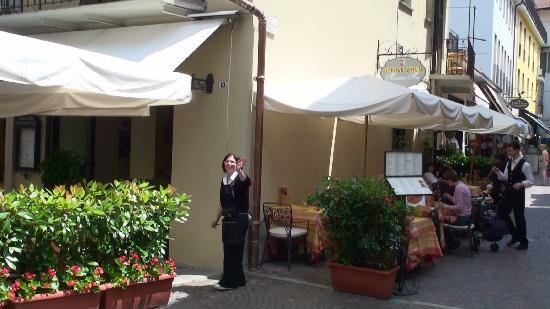 I have always found this to be a wonderful way to experience the pace of life in this region of Italy. 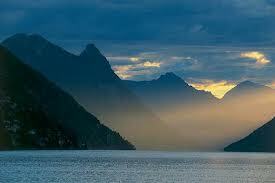 Spectacular views of the alps from the comfort of my table or from the open air seating on deck are always memorable. 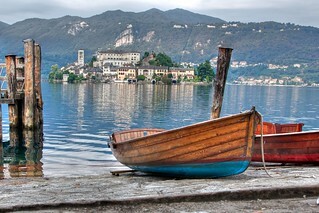 The midday cruise boats leave from the Lugano Paradiso dock at 11:50AM each morning, early April through late October. Lunch is served shortly after heading across the lake. A fixed menu is served offering excellent food (not fancy). 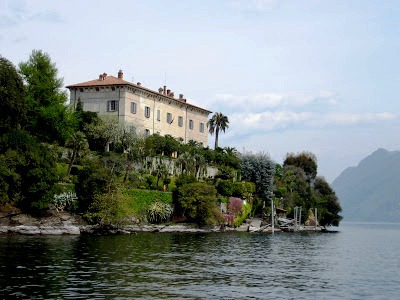 With five stops along the lake in each direction, the pace of enjoying the meal moves at the pace of the boat. 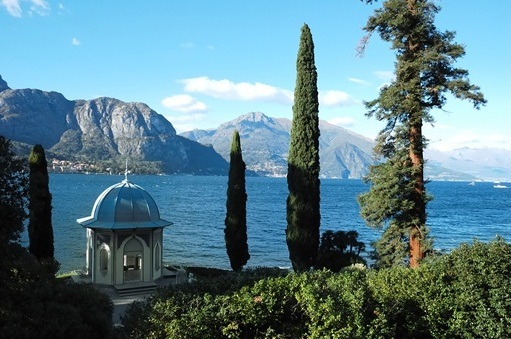 The boat returns to Lugano Paradiso at 1:50PM. 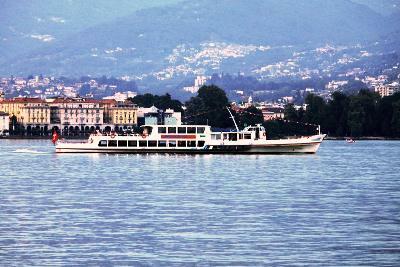 You can also board/return from the main Lugano Ferry Building. For further details, see “If You Go”. 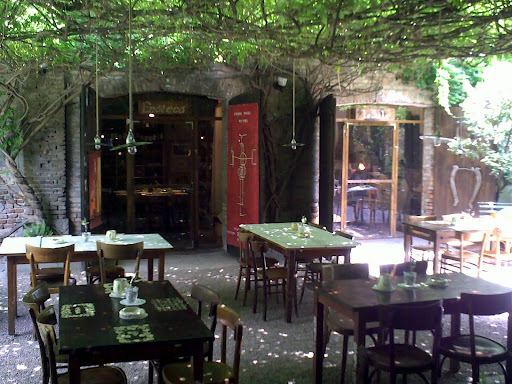 When I return to the city, I usually choose a table at one the lovely small cafes in the Pizza Riforma. 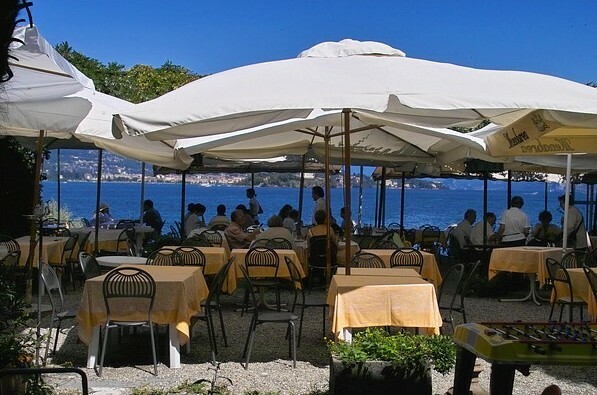 Directly off of the waterfront park, this is great place to relax with an afternoon coffee or aperitif. The main shopping streets of the city lead away from the square and there is no denying that window shopping in this country of watchmakers offers temptations aplenty. My evening meal is usually enjoyed at Bistro Cyrano. 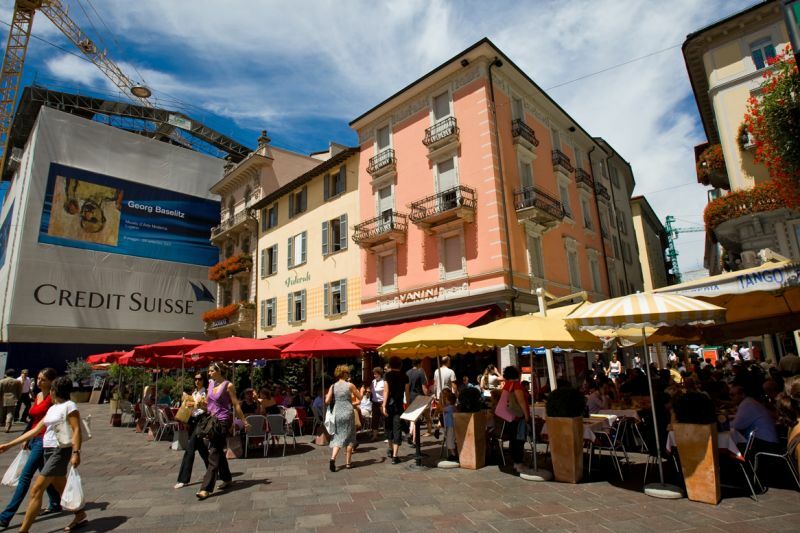 Located an easy walk from the central city square, the small space, while not fancy, offers delicious meals at a reasonable price, especially in Switzerland. The chef uses only the freshest ingredients and there is everything about the Italian table to enjoy. Great wine list, as well! On the second day, I take time to visit two of the most beautiful churches in this area of Switzerland, Santa Maria degli Angioli and San Rocco. The church of Santa Maria was originally part of a Franciscan Monastery. The buildings were started in the late 15thCentury, with subsequent improvements and additions made over the centuries. 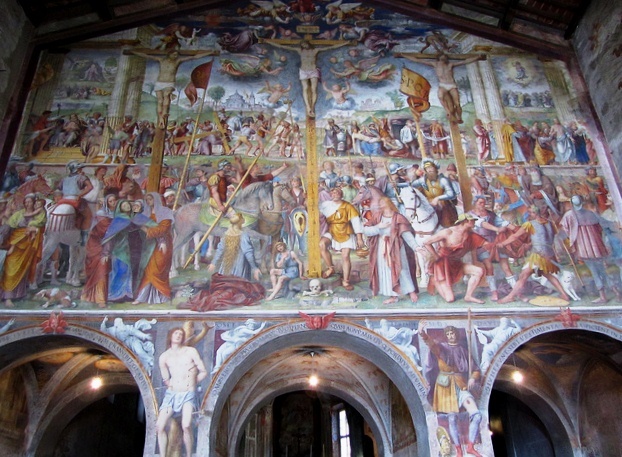 What makes Santa Maria so very special is Bernardino Luini’s masterpiece, and the largest fresco in Switzerland, The Passion and Crucifixion of Christ. The fresco covers the main part of the interior wall that separates the nave from the altar. The intricacy and detail are amazing, and to be able to spend time studying an incredible art treasure without the usual crowds is a gift. The church is easily located on the western size of the city, not far from Piazza della Riforma. The other church, San Rocco, is on the opposite edge of the main city center and only steps from the Giardini and Piazza della Riforma. 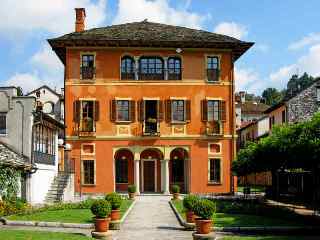 The 17th Century structure has a very plain façade, yet the interior offers gorgeous frescoes depicting the life of San Rocco di Montpellier, a venerated saint in the Catholic Church. During the summer months, there are a number of world famous music festivals in the city. Last year, I walked into San Rocco and enjoyed hearing a young pianist practice a Rachmaninoff piano concerto. Unforgettable. 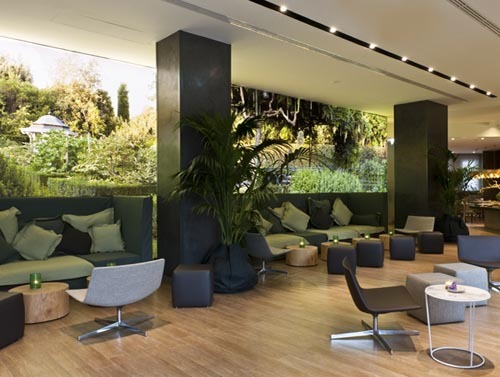 This is a city for those less inclined to the busy day to day bustle of tourist sites. 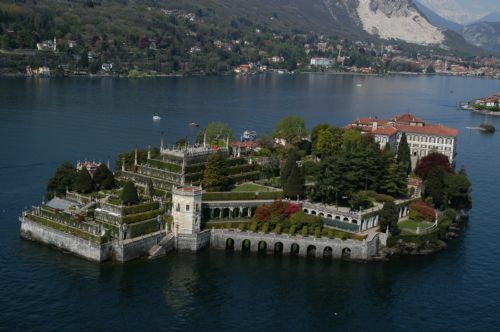 An easy drive from Milan or Lago Maggiore or Lago Como, the lanes and byways of this lovely city offer time for contemplation and relaxation. A city more known to the European visitor, fewer Americans are encountered here especially after the day buses depart. Evening offer well lit streets, the quiet of a Swiss town and time to enjoy yet another jewel of the Lake Region. 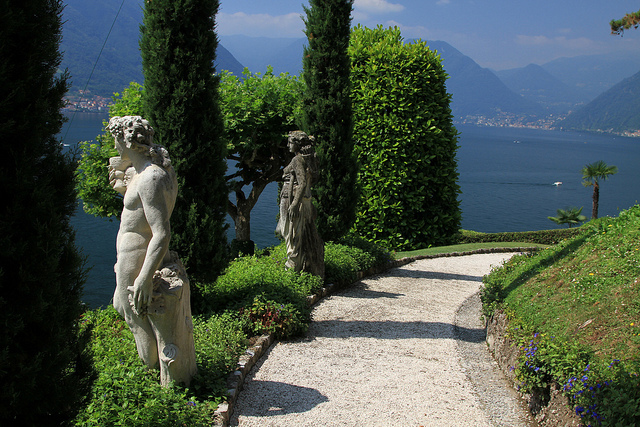 Lugano Tourism offers plentiful resources. 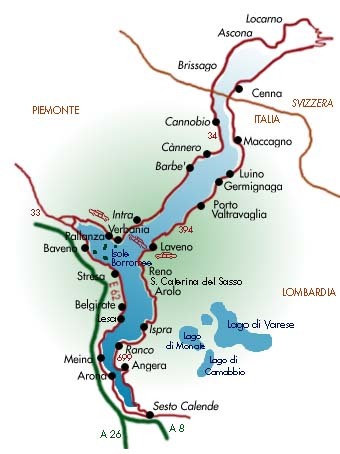 Navigazione del Lago Lugano (Lugano Ferry System information and timetables) For lunch cruise information, click on “Midday Cruise” on the left side of the home page. There are plenty to choose from. I’ve stayed at each of these over the years. They offer clean rooms for a fair price. Nothing fancy, mind you, but for a clean bed and a great location, they are difficult to equal. 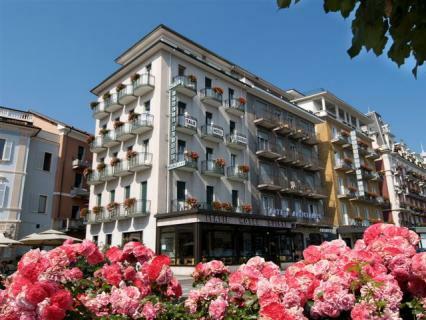 This lovely hotel is located within the arcades of shops in the center of Lugano. Easy access to the lake and sites right outside your door. The town is usually very quiet after 8:30PM and you need not worry about traffic noise. The Balmelli family offer attentive service. Due to its position south of city center and in a more residential area, the Delfino is both a bit higher in price, yet offers lovely rooms with balconies and lake views (request such when reserving). 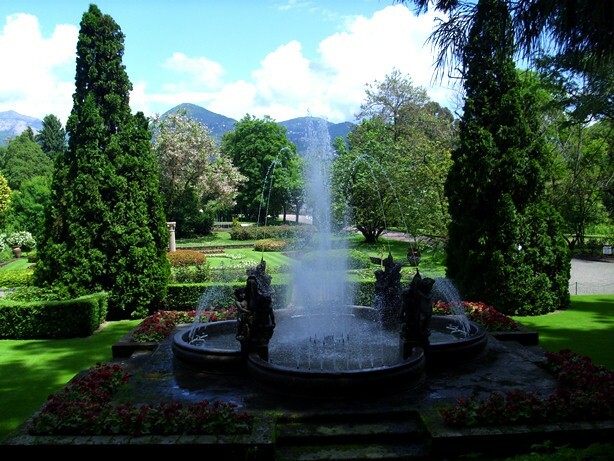 It takes about ten minutes to walk to the center of Lugano from the Delfino.